Bali is the island of heaven on Earth. When searching about its name, you can notice that most people will do anything related to stress-relieving, like surfing, tanning, or having the experience of hidden attractions exploring, an activity that they can not do in their hometown. 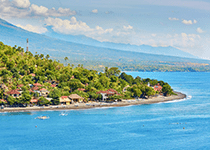 Many people would include Bali inside their bucket list mostly for those purposes. 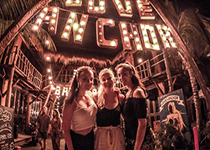 The first one on the list of place for relaxing in Bali Indonesia is the Love Anchor. Anchor? Does it have any relation with seas? Love Anchor is the most hipster area of all places in Canggu, Bali. It’s lit during the night, like showing that no one is gonna miss it. This small area is actually a market-like area located around Batu Bolong Attractions. In this section, you can find some business buildings such as restaurants, cafes, bar, and some shops that selling acessorries and stuff. The small market is always bright because there are so many light bulbs around the area. It’s really nice, comfy, and also very instagrammable for everyone. If you’re one of many people who like to do a little exploring on the Bali island, then the next destination for you is the Musi Village. Musi Village has a special attraction that rarely visited by tourists. The location is nicely hidden, many steps away from the center of Musi Village in Bali island. There, you can find the Hidden Canyon, a small location consisting cliffs and a river in the center. The water is really fresh, making the tourists want to taste the water. Sometimes, taking pictures would be really epic. Don’t forget to ask the local about the location of this canyon. For you who like the hiking activity, you do familiar with the name of Mount Batur, one great mountain on the island of Bali. 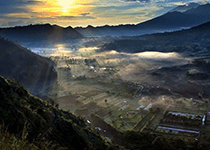 There are so many ways to enjoy Mount Batur. Aside from actually conquering the peak of it, you can to Pinggan village instead, to the hill nearby to see how great the mountain is. It’s really nice to see the sunrise and sunset from this location, especially because the environment is really nice. During the morning, you can take a perfect sunrise picture completed with a view of fog covering the whole village area. The area is also suitable for couple to enjoy their sweet time. Almost the same as the hilly area in Pinggan Village above, this place for relaxing in Bali Indonesia called Belong Hill is also very comfortable for chilling out. You can even build a camp there, and having the greatest experience of becoming the one with the nature. But, there’s an interesting thing about this hill. From up the hill, you can see from a distance, a view of rice terraces that looks so organized. It’s really beautiful and can be a great picture to take once you got there. Even though hiking to the top of Belong Hill can be a bit tiring, but it’s definitely worth the work. Bali island is always known as tropical island that has so many famous beach attractions, including this one called Nyang-Nyang Beach. The beach is suitable for everyone who wanted a private beach, with almost no price to pay. The only price is taking steps down the ladder to the beach itself. It would be a bit long trip because the distance between the top of the stair and the beach sand surface is about 500 steps. 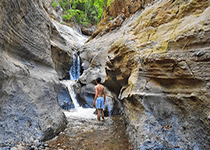 But of course, the view of Nyang-Nyang beach and its features like natural jacuzzi-like pool, beautiful green vegetation, and clear water make the beach even more worth to visit. 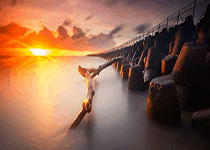 The next attraction is the Kelan Beach, located in the area named Segara Madu, Kelan, Tuban, South Kuta, Bali. Even though it’s a bit hard to remember all those names of this location, but it’s way more easier to notice the beach if you go to Bali by plane. Why? Because you can see the beach right beside you. The location of Kelan Beach is right beside the International Airport, so planes are coming and going while you have your great time on the beach. Even though the sounds from planes can be annoying, but the tourists see this as an unique moment. Sometimes they even take the pictures of the planes taking off or landing. There’s one thing you shouldn’t miss when visiting the Badung part of Bali island. The name is Tegal Wangi beach, located around the street with the same name, Pura Tegalwangi beach, Badung, Jimbaran, Bali. This is the beach if you want to experience chilling in a jacuzzi with the view of a beach. But, the jacuzzis are not human-made. Instead, those are the holes on the corals that filled with seawater, making them look like jacuzzis. You can just sit down in the holes, and enjoy your sweet time seeing the natural ecosystem of Tegal Wangi Beach. It’s even better if you have someone with you. 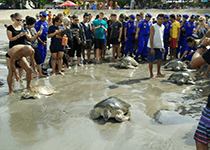 If you happen to go to Bali with your whole family members, then it’s not a bad thing to visit the Turtle Conservation and Education Center in Serangan Island. 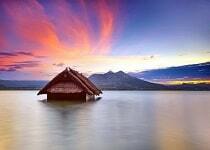 The Island itself is located in South Denpasar, in Tukad Punggawa precisely. You can do so many heartwarming activities, especially with you kids. In this conservatory, you can watch the hatching of baby turtles, taking picture with the turtles, seeing the turtles in different size and form, and also adpoting the turtle babies. For the adoption, you need to pay for each baby for abour more than a hundred thousand rupiahs. There’s one place for relaxing in Bali Indonesia called Lake Batur. For the photographers who already have experience visiting Bali, this location is surely ain’t missable. Lak Batur is the creatin from a natural phenomenon, Mount Batur eruption many years ago. That’s why, when visiting the lake, you actually have two different attractions at the same time. However, the interesting thing about this lake is not only because of the eruption of the mountain, but, you can also see a house located in the lake. Yes, a house. Maybe the house was unintentionally moved there due to the flood or something. But, it became a unique thing to capture. We use salt almost everyday when we want to cook something. It’s very easy to buy it nowadays, you can even get one in the nearest convenience store. But, on Bali island, you can watch how the farmers process the salt that fresh from the ocean in a place called Amed Beach, a beach located not far from Selang beach. Aside from enjoying the beach itself, you can watch the locals daily activity, which is processing the salt. Just from seeing them, you can grasp some information about how to process salt traditionally. From filtering the sea water to taking them to open field, you can see all of them here. Moving from Ameda Beach, we’ll take you to a beach named Geger Beach. Unlike Amed, this beach is now more developed due to fulfil the needs of many tourists. But, there’s a part of Geger Beach that still left as natural as possible, because it’s needed by the locals. Why? Why is that area is still undeveloped? It’s because of the needs from people who live around Geger Beach, who need to harvest the sea weeds from that particular area for living. Thanks to the clear water, it’s not that hard to harvest them. Usually they use a backpack-like bucket to gather them. And put them all on a small boat for easier distribution. In Bali, aside from enjoying all the beautiful attractions, something that can truly attract you is the culture. Seeing things like Kecak Dance or the mythical Baring Dance can be a nice activity. There’s also the other thing called Gambuh Show. It usually performed constantly every first and fifteenth day of the month. You can see this show only at Batuan Temple in Ubud, Bali. This gift of culture was coming from the era of Majapahit Kingdom back from 1292 to 1527 ago. It’s a classical show that combining the music, dance, art, and theatrical elements. Now, in this 13th place for relaxing in Bali Indonesia, we want to take you to another place with haunting atmosphere. 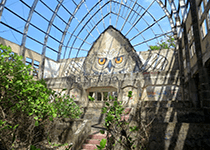 It’s really quiet in here, even you can visit here during the day for exploring this abandoned Festical Park in Bali. Yes, the park wast first left behind back in 14 years ago. And it’s empty since then. After 14 years have passed, the location that once become source of art and culture fans gathering, now being a standing corpse with all the haunting stories about it, including the crocodiles cage. Now, are you brave enough to visit the Ghost Town? 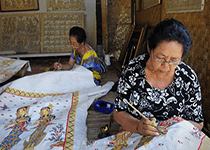 For people who really love Balinese art, they should come to Kemasan Village in Klungkung Bali. In this village, you can learn all things about Balinese art, starting from understanding the tools and equipment to make them, the methods, and seeing the final results from the hands of the locals. The villas was once a central of Balinese art during Gelgel Kingdom in 15th century. Since then, it’s still growing up, even today. The art of Kamasan is known for having rich characteristics while still focusing on spirituality and special identity of Bali.